Wow - a whole new bedroom set for a fraction of the cost! 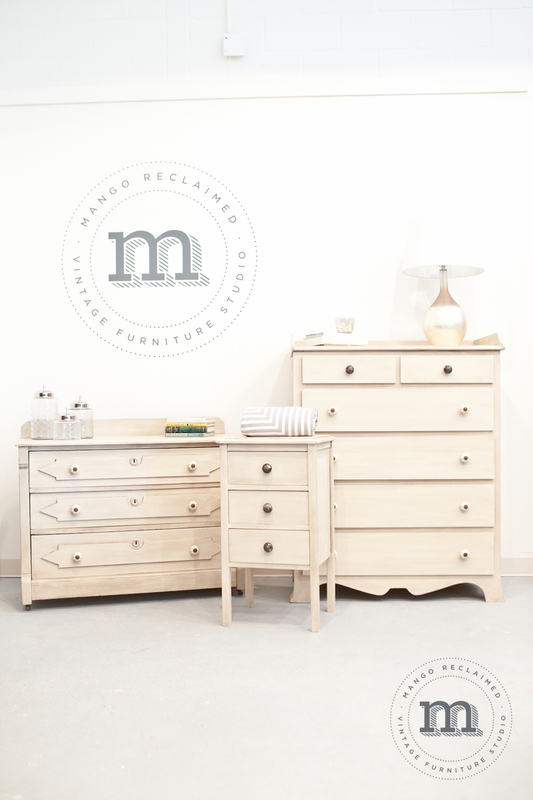 Custom restyled bedroom set by Mango Reclaimed. Styled and accessorized by The Inspiration Nest. All products available for purchase at Mango Reclaimed. When two of the pieces were completed I called my customer back in so we could consult on what hardware to use. Originally these pieces all had matching brass pulls that were out of date (but not out of date enough to be fashionable again, lol). I filled all the existing hardware holes prior to painting so we had a blank slate for hardware choices. I pulled a few options from the hardware available in the studio and after a good collaboration we made our choices. Just a few hardware considerations - snapped on my iPhone. We decided on using a combination of soft cream and dark shadow ceramic knobs overall. I love how the new hardware completes the look! 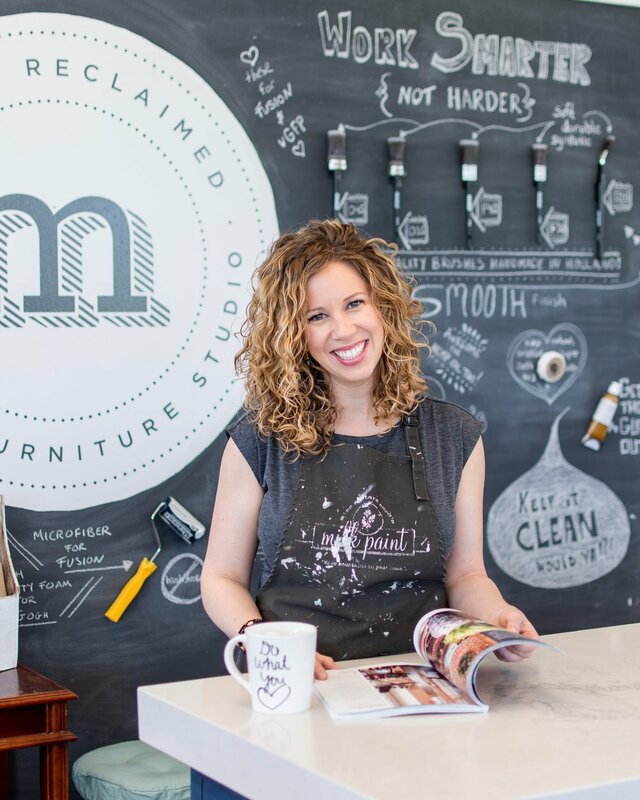 I really love collaborating with my customers to come up with a look that is completely 'new' and completely unique for their home. I'm pretty sure they loved the outcome too because they have already dropped off two more pieces to be restyled . . .
What do you think? 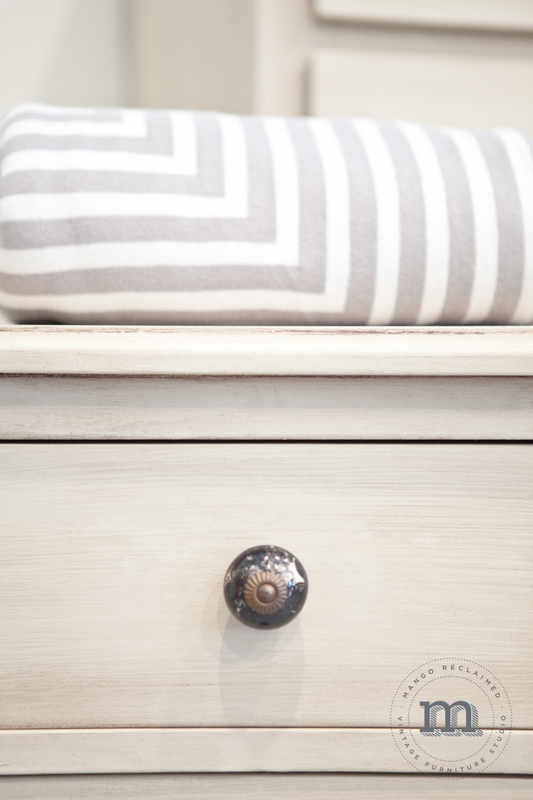 Could your bedroom set use a restyle? Contact us to see what's possible!